This toturial will walk through how to build an Android app with the ability to receive push notifications. This entails creating a new Android app, enabling the Firebase Cloud Messaging, preparing ApiOmat as well as setting up a basic layout and some code. Open your IDE. 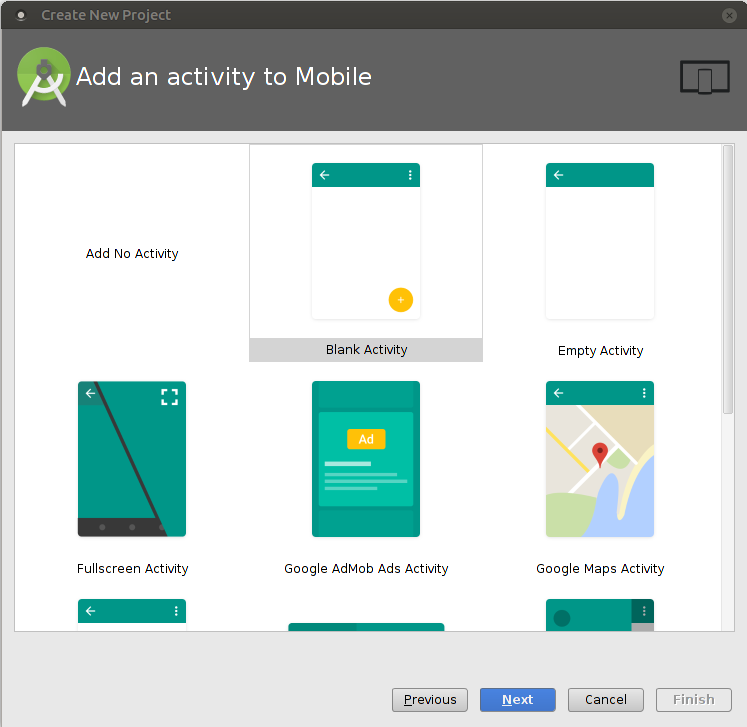 We recommend using Android Studio, as that is what we will be using for this tutorial. 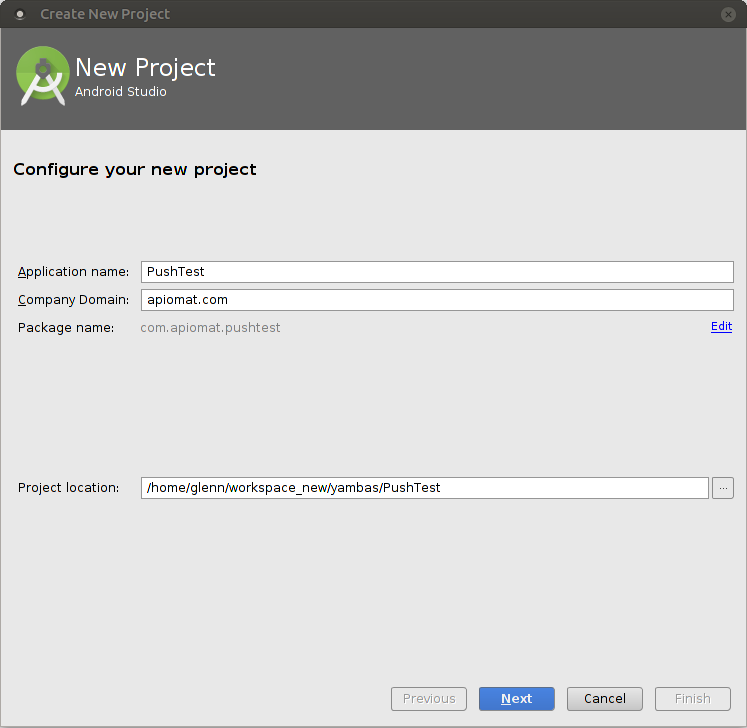 Select Start A new Android Studio Project or if you want to enhance an existing project, choose Open an existing Android Studio Project, as shown in the figure below. If you've decided to create a new project, you will have to setup a few basics, which will be covered in the next 4 screens. If you are using an existing project you can skip right to the step Enable FCM for your app. First you will enter your app's name and a company domain. You will need this information later. Next, you'll have to pick the android devices and the minimum API levels you are targeting with your app. Please note that you'll need to choose at least API level 16 to be able to use Google's FCM. Next, decide what kind of activity your app initially should contain. For this tutorial, select the Blank Activity. 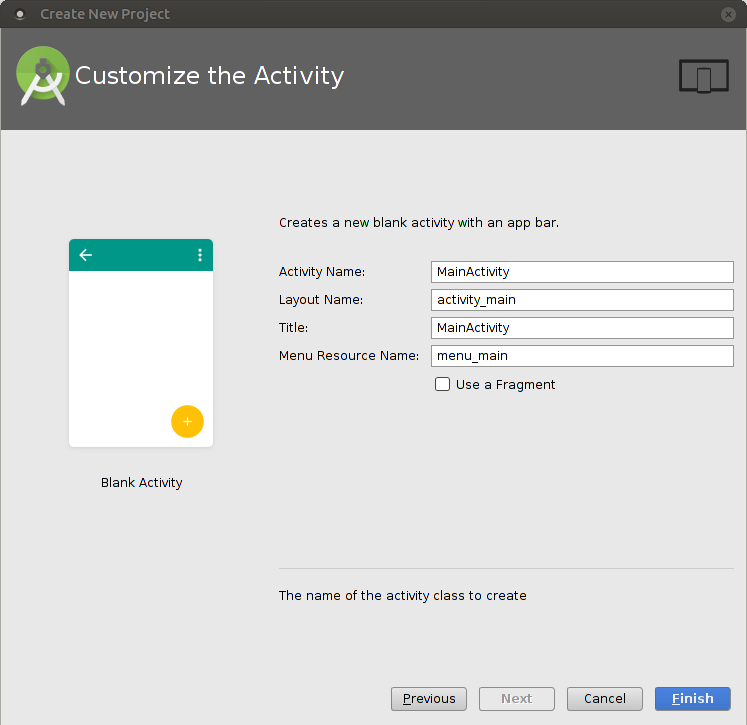 Next, set your activity's name, and respectively your activity's title and the layout's name. The name will not effect this tutorial, so we will just leave it as the default as it plays a subordinate role for our use case. Keep the defaults and finish setting up the project by clicking the finish button. To send push messages to an Android device you have to use the Firebase Cloud Messaging service, requiring you to obtain a server API key. The next part of the tutorial will walk you through signing up for FCM. Go to the Firebase console. Click Add project, then select or enter a project name. If you have an existing Google project associated with your app, select the project. If you don't have an existing project, add a new project. Follow the remaining setup steps in the Firebase console, then click Create project (or Add Firebase , if you're using an existing Google project). 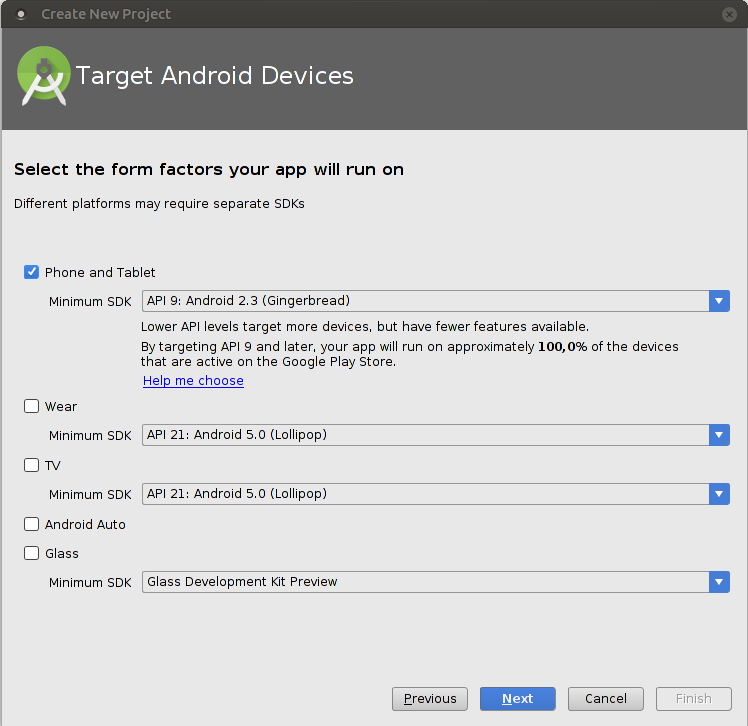 Go on Project Overview and click on the Android symbol and follow the setup steps. If you're importing an existing Google project, this may happen automatically and you can just download the config file . When prompted, enter your app's package name. It's important to enter the package name your app is using. This can only be set when you add the app to your Firebase project. Move your config file into the same directory as your root-level build.gradle file. For more information have a look at the Firebase documentation. 2. If you haven‘t created an app yet, you will be asked to give your first app a name and to give a short description. In our example the app is called “PushApp”. For your app, though, you should use a unique name. 3. Now you see the ApiOmat Dashbaord. 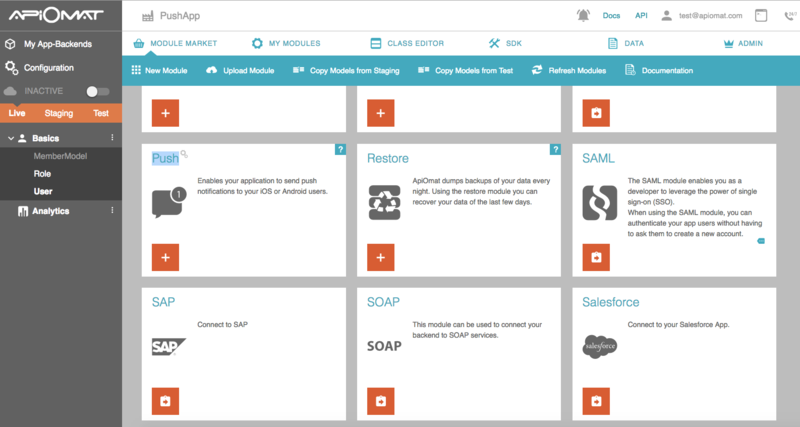 Start on the Module Market with all the available modules you can add to your app. Scroll down and select the Push Module and click "+" to add the module. 4. A pop-up will appear where we can configure the Push module. 5. Insert your FCM API server key and confirm with “OK”. 6. Click on the SDK tab on the menu at the top of the screen. This will take you to an overview of the ApiOmat SDKs, which you can download by clicking "DOWNLOAD SDK". 7. For this tutorial you will need the SDK for Android. To download, simply click the button “Download SDK”. This downloaded .ZIP file contains all required classes and resources. Unpack the .ZIP file and save it somewhere on your hard disk. 8. Open the folder containing the unpacked .ZIP file. 9. Copy both of the folders into the “src” folder (source) of your app. Now we can get started on the frontend! Now you need the configuration file which you downloaded while Enabling FCM for our app. Simply copy the file into the app-Folder of your app-project. 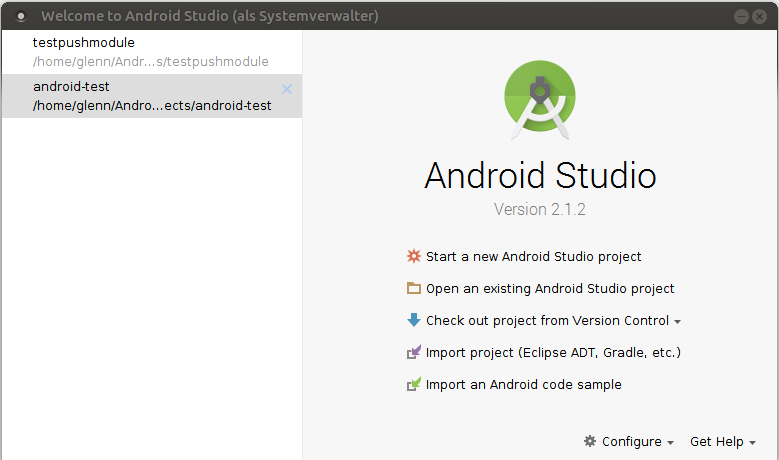 As this file is intended to be parsed by the Google Services plugin for Gradle, we have to install this plugin first. You can do this by adding a dependency into your gradle files. Next you need to put together a simple layout in order to be able to trigger the FCM registration. First, you need to handle the FCM registration. Instantiate the service if no registration token was found. Create a new ApiOmat user with this token. Finally, save this user. Last but not least, you need to extend the main activity as shown below. To test our app, send the push message from the ApiOmat dashboard. 1. Start the app on your Android device. 2. Press the button “Show Token”. Your FCM token will be shown in the textview. 3. 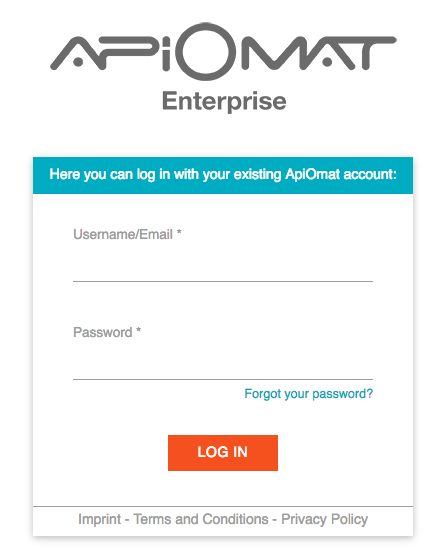 Open the dashboard of ApiOmat. 4. Click the tab "My Modules" and then the button “Push”. 6. Check out your Android app. The text field should contain the push message you entered. In our case your notification message was "Hello!" and your additional data was "ho".